Number of the week: How many spies did the FSB catch in 2016? During a meeting on Feb. 16 with top officers from the Federal Security Service (FSB), President Vladimir Putin discussed the illicit activity of foreign secret services in Russia. 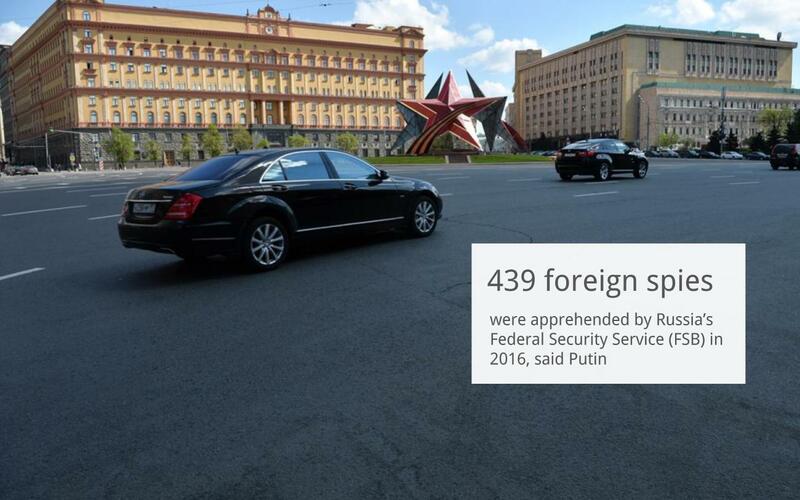 "Last year, the activity of 53 staff employees and 386 foreign intelligence agents was folied," said the Russian leader. "It is important to neutralize the attempts of foreign intelligence services to access confidential information, especially in the field of military-technical potential," he added. The President added that Moscow should restore dialogue with U.S. intelligence agencies and other NATO countries in order to establish "a new level of cooperation” with foreign partners in anti-terrorist efforts.